Critical essays against opponents and those he disagrees with by Abraham Baer ben Joseph Ezra Dobsewitch (Dobsevage). Lo Dubbim ve-lo Ya'ar (Neither bears nor forest) is one of two such collections by Dobsewitch in which he is critical of such Russian-Jewish writers as Shatzkes, Weissberg, and others. There is an introduction and four essays, beginning with “thirteen whom I have known.” Dobsewitch is particularly opposed to an essay of Shatzkes in ha-Maggid. Abraham Baer ben Joseph Ezra Dobsewitch (Dobsevage) was a Russian Hebraist and exegete; born in Pinsk Oct. 17, 1843; died in New York Jan. 14, 1900. At the age of thirteen he had written a commentary to the Canticles. In 1861 he went to Yekaterinoslav, where he settled as teacher of Hebrew and contributed to various Hebrew periodicals. In 1874 he removed to Kiev, where he became private tutor to the sons of Brodski and of other wealthy families. He went to the United States in 1891, and lived in New York, leaving it only for a short time in 1895. Dobsewitch's chief published work is "Ha-Meẓaref" (The Refiner), a collection of rationalistic interpretations of various passages of the Aggadah, Odessa, 1870. 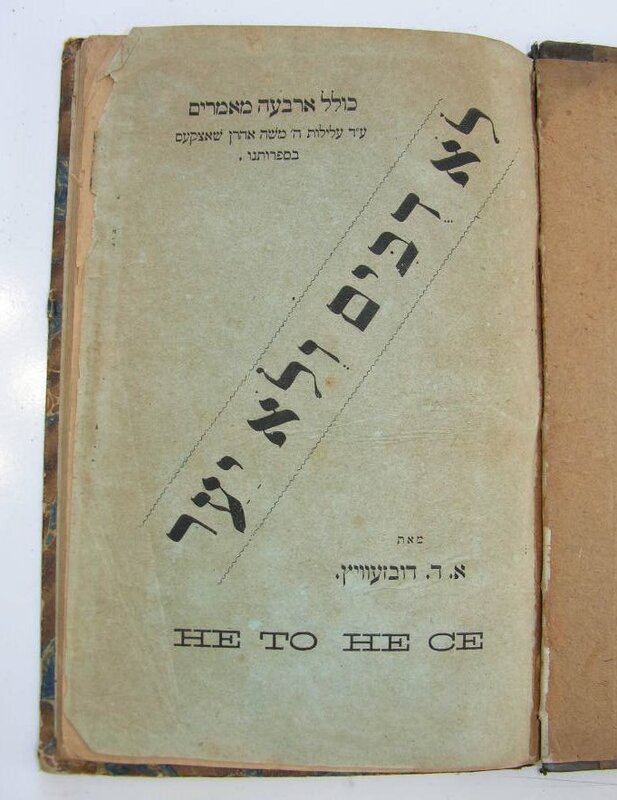 Dobsewitch's two later works, "Be-Ḥada Maḥeta" (With One Sweep), a collection of articles, Cracow, 1888, and "Lo Dubbim we-lo Ya'ar" Berdyehev, 1890, as well as numerous articles in Hebrew periodicals, are devoted to criticisms directed against Shatzkes, Weissberg, and others. He continued his literary activity in the United States, and contributed to "Ha-'Ibri," "Ner ha-Ma'arabi," and various Yiddish publications. Some of his correspondence was published in "Ha-Modi'a le-Ḥadashim, " i., New York, 1900. 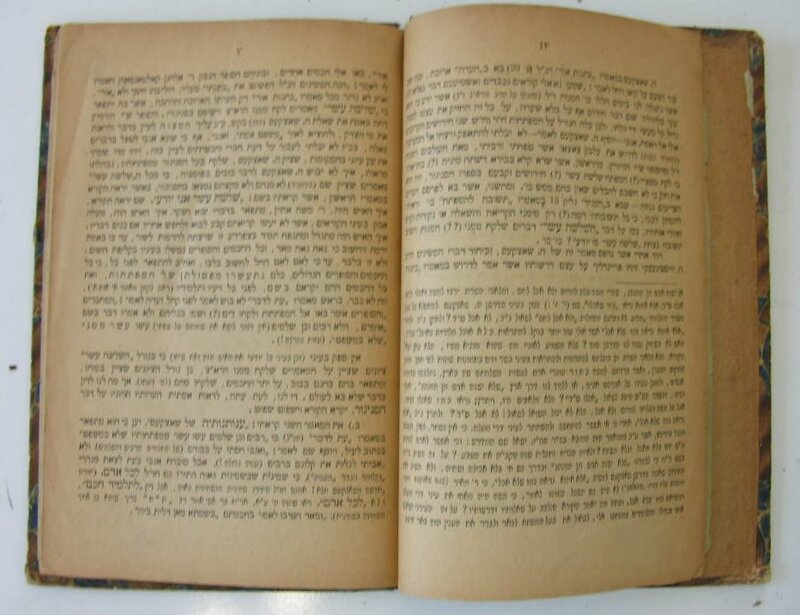 Dobsewitch left several works in manuscript, including one on the Masorah, one on the Samaritan text of the Pentateuch, and one on the wit and humor of ancient Jewish literature. Short extracts from the last-named work were published in the United States. Moses Aaron Shatzkes (1825–1899), Hebrew writer. Born in Karlin, Belorussia, he studied in Lithuanian yeshivot and then joined the Haskalah movement. He gained a literary reputation through his book Ha-Mafte'ah ("The Key," 1869). The book analyzes talmudic legends, starting from the premise that they are merely ethical allegories, not to be taken literally. This theory, acceptable to the moderates of the Haskalah movement, was anathema to Orthodox Jews, who tried to prevent publication of the book, and in some towns even burned copies. Shatzkes wrote articles in the same vein (Ha-Asif, 2 (1885), 241–61; Ha-Sifrut, 3 (1889/90), 103–18; and others). In Yiddish he published anonymously Der Yudisher for Pesakh ("Preparations for Passover," 1881) in which he attacked superstitions associated with the Passover festival. Toward the end of his life, he moved to Kiev, where he became a leading figure in the Haskalah circle, noted for his pungently witty conversation.